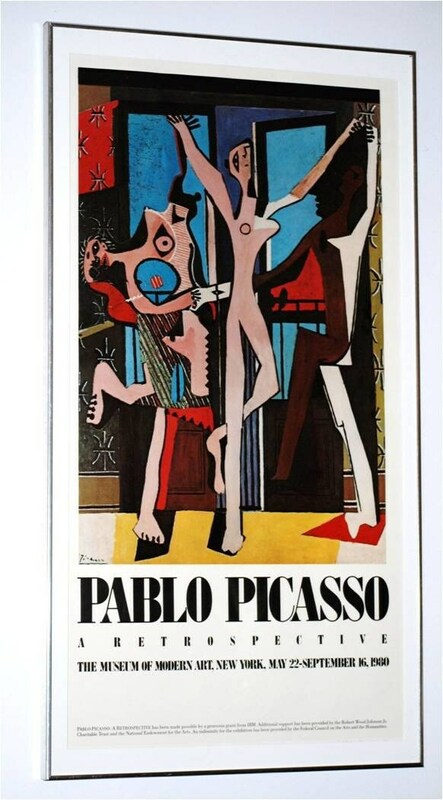 A 1980 Pablo Picasso Art Retrospective poster, 20 1/2" X 36" Framed in a chrome frame. 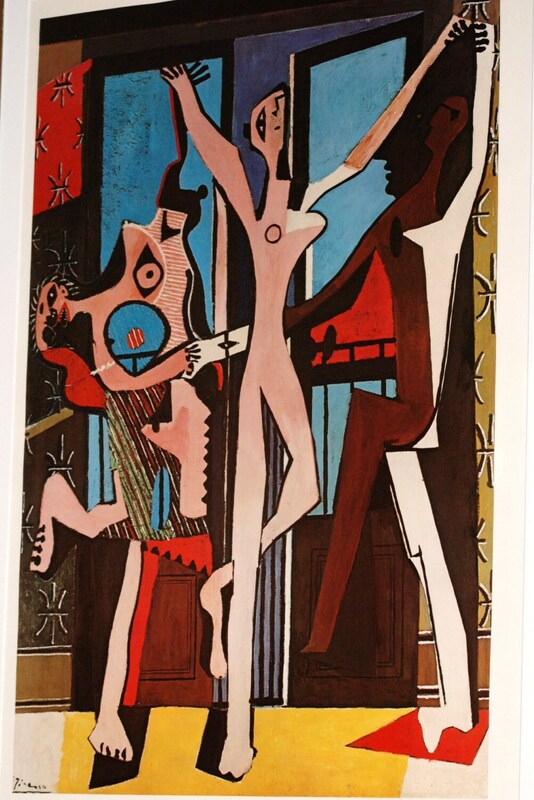 Colorful print of Picasso's 1925, "The Dance Monte Carlo," June 1925 oil on canvas. 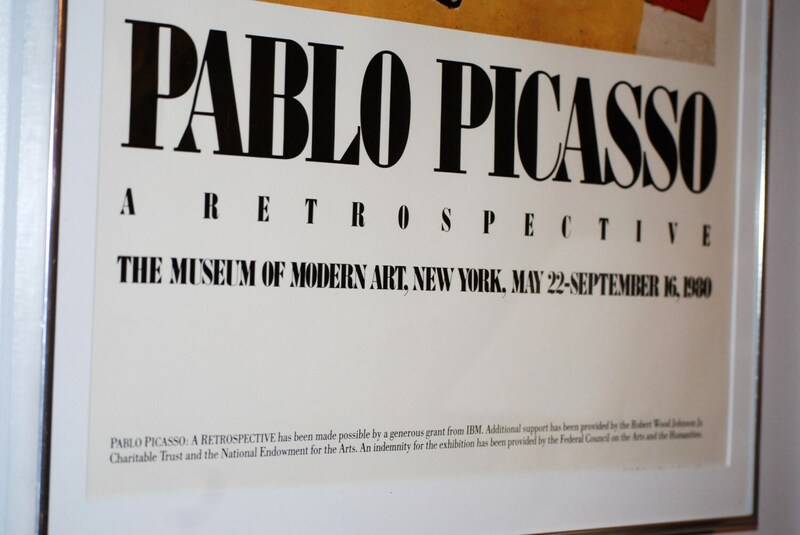 The Tate Gallery London. 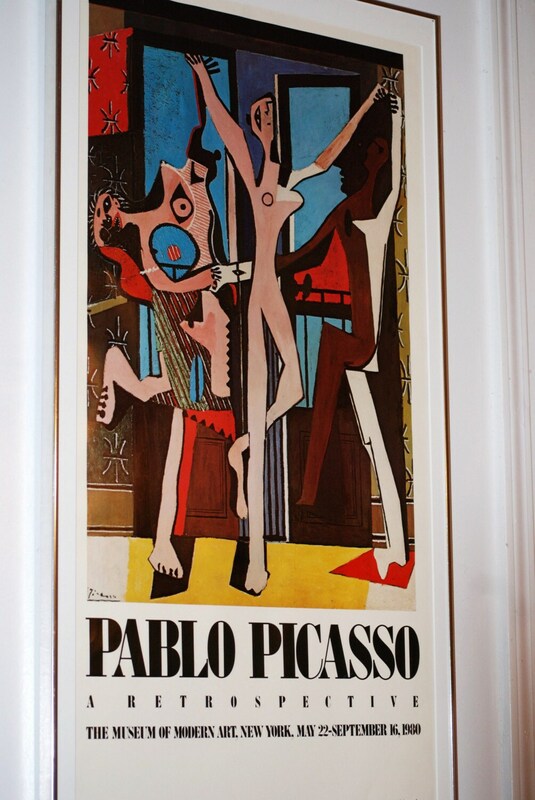 The print is in excellent condition having been professionally framed in Albuquerque, NM.